SpinBingo Play Gamepoint's awesome SpinBingo. It's like Bingo, but with lots of fun additional bonus features! Enjoy! Hearts Play the fun trick-taking card game Hearts by Gamepoint! You can play American Hearts and the Dutch version of the game! 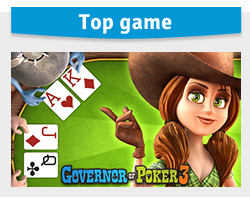 Poker Play Poker online with this thrilling Gamepoint multiplayer card game! Inlcuding regular Texas Hold'em and Sit&Go tournaments! RummyClub RummyClub is a great online multiplayer rummikub game. Use your best strategies against all the other live players and win!